A podcast about all things Macintosh. For Mac geeks, by Mac geeks. Show 273. Apple looking good in Q3. Details of Microsoft’s retail plans emerge. Apple’s own retail store news. Netbook, iPad/big phone, tablety thingy watch. Apple brewing “Cocktail” to spur album sales. Apple updates it’s Studio suites. Ping Pong Palm battle. New iPhone Beta and SDK released. Apple (AT&T) voice block Google. BlackHat to reveal serious SMS iPhone bug. Apple says Jailbreaking could destroy the cellular networks. Apple asking App developers to keyword their apps. Apple finally releases Mobile Me iDisk App. Getting jealous of unlocked iPhones. Review: Kensington SlimBlade Mouse with Nano Receiver. Sleep, restart, and shutdown from the keyboard. Why no iPod up-to date program? Smile on My Mac, check out PDFpen and their blog. A podcast about all things Macintosh. For Mac geeks, by Mac geeks. Show 272. A show for Mac geeks, by Mac geeks. A special edition of the Maccast. 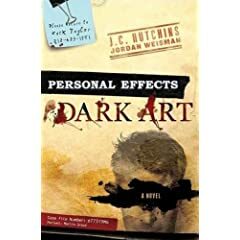 We sit down with J.C. Hutchins author of the new transmedia novel, “Personal Effects: Dark Art” (http://www.jchutchins.net). It’s been 2 years since we spoke with J.C. and this time we go over this amazing new project, how he has been able to achieve great success by self promoting, why he loves his new 15″ Macbook Pro, Twitter clients for iPhone, and ton of other stuff. Enjoy! A podcast about all things Macintosh. For Mac geeks, by Mac geeks. Special edition. In this special episode of the Maccast we talk with Shelly Brisbin (App Store Pundit), Josh De Lioncourt (Mac-cessibility), and Shane Jackson (Blindworld Blog) about the new iPhone 3GS and specifically about it’s new accessibility features.